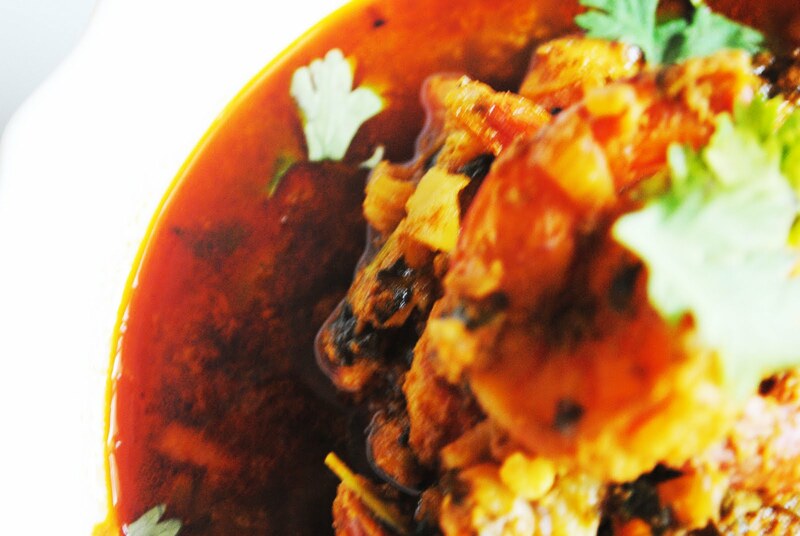 >Prawns masala- the maharashtrian way. This is my first Prawn recipe, and again, I have tried a healthy option to it. I love Prawns, specially when they are in a salad(one of the healthier options to any non vegetarian salad). 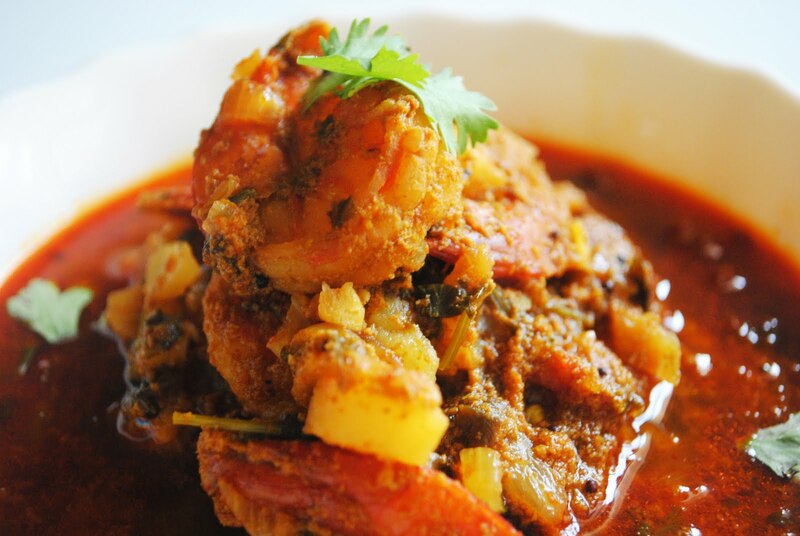 Prawn curry has always been dear to my heart, as I believe that the Prawn has the unique quality of being tiniest in size, yet imparting the mightiest flavour! I had this at a friend’s place..Pols and her Mum, Mrs Jyoti Mhatre prepared it for us! Being a South Indian I always thought our ways of preparing Prawns were the best, but i was blown over by hers! I am not sure if this is the exact method, but the taste seemed to match! Mr Z does not like garam masala hence i have avoided it in here. Do try this rich in flavour, low in calorie yummy prawns masala..the Maharashtrian way. Clean the prawns and keep them aside. In a non stick pan, heat the oil and sputter Mustard, saute onions till transparent, I add salt at this point coz i feel the onions and tomatos cook and blend better with the salt. Further, add the masala- chilli,turmeric and coriander , stir till flavours are aromatic, add tomatoes and stir. close lid and leave at low flame for 5 minutes. Add coconut milk and tamarind pulp and simmer at low flame. when smal bubbles begin to appear, add the chopped potatoes and after 10 minutes, add prawns. leave to cook for about 15 minutes at a medium heat, or until the potatoes and prawns are cooked. You made add hot water to the necessary consistency you require.Granish with chopped coriander leaves. Best served with steamed rice.